Miles Little is a senior at DGS and is the Online Sports Editor. This is Miles’s first year on the DGS Blueprint staff. 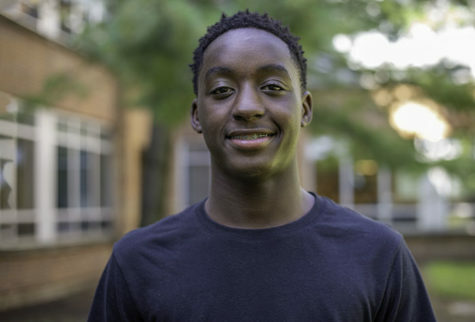 Miles is also on the DGS lacrosse team and plays competitively outside of school for East Ave. Little plans on continuing his lacrosse career in college. For fun Little loves to eat food. His favorite restaurants are Chick-fil-A and Chipotle. Little also enjoys watching Netflix movies and binge watching "The Office." He hopes to be a hard worker -- just like Dwight Schrute. Little’s biggest passion of all is music. He listens to almost everything; his favorite genre is Hip-Hop. He also loves Country. His favorite artists are Juice Wrld, Chance the Rapper, H.E.R, Ella Mai and Sam Hunt. Little is stoked about being a part of the staff and can’t wait to start writing and hopefully bringing home another state championship.